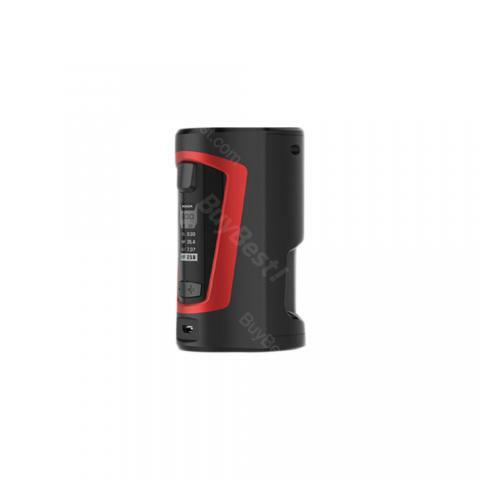 The Geekvape GBOX Squonker is a new squonker mod equipped with advanced AS chipset. Powered by dual 18650 cells, GBOX fires up to 200W and supports different output modes, such as VW/VPC/TC/TCR/BYPASS. Easy and user-friendly menu interface is easy to navigate, plus all the vaping data will be displayed on the large and clear OLED screen. Big 8ml e-juice capacity of the squonk bottle will be enough for a long time vaping. GBOX mod will definitely provide squonk fans with excellent and safe vaping experience. Mod is available in 4 colors. • It doesn't come with 18650 battery, please buy it separately. • Best match with Radar RDA and GBOX Squonker Kit. Got the GBOX Squonker TC MOD as a gift for my dad for his birthday. The quality and style are great.